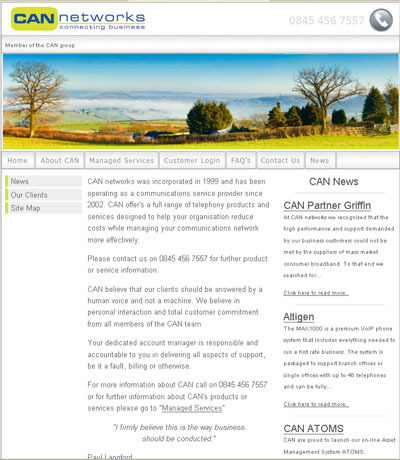 This week we launched phase 1 of Can Network’s new web site. This site will be the foundation for their future web based solutions. The next major phase will introduce content workflow for distributed content management (CMS). The company commenced operations in 1997 and has been operating as a communications service provider since 2002. CAN operate within a strong financial base and enjoys the EXOR organisation Gold Accreditation status.